Are One Center City Multimodal Improvements on the Way? When the One Center City Advisory Board delivered its recommendation last September, we applauded the gains for transit priority and the Downtown Basic Bike Network. Five months later, not much else has happened. 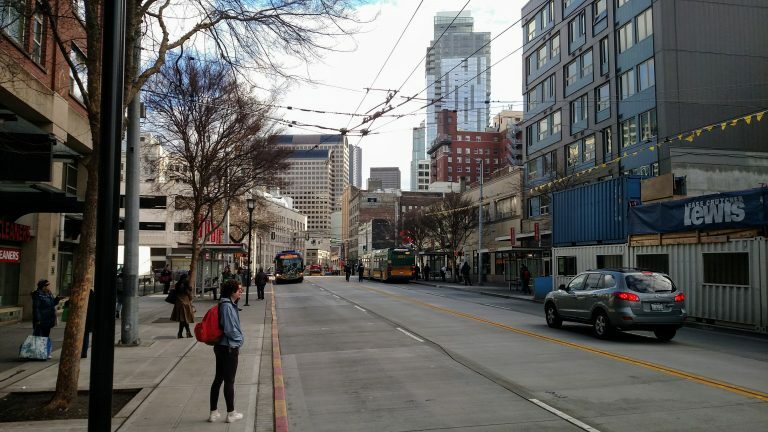 The advisory group hasn’t met since, the project website has barely been updated, and Seattle Department of Transportation (SDOT) hasn’t added Fourth Avenue protected bike lanes … Continue reading Are One Center City Multimodal Improvements on the Way?